President George H.W. 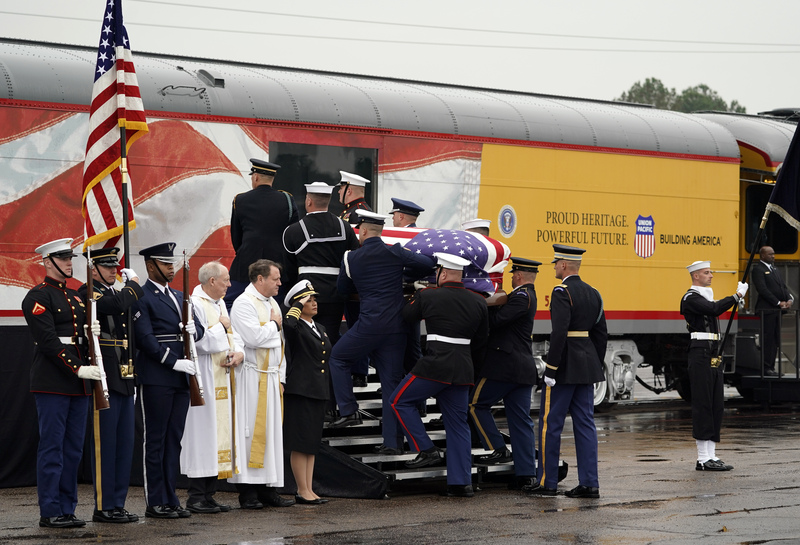 Bush’s casket was transferred to a train Thursday in Houston, Texas, for the final leg of the journey to his final resting place at the George H.W. Bush Presidential Library at Texas A&M University in College Station, Texas. The train has been retrofitted for the special journey. 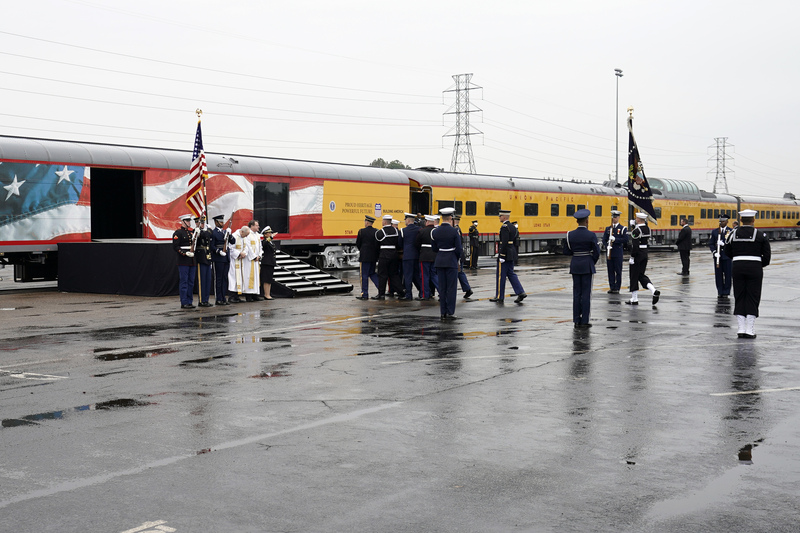 The locomotive is painted to look like Air Force One in honor of the former president and features a special car painted in stars and stripes with a glass window where the president’s coffin can be viewed from. 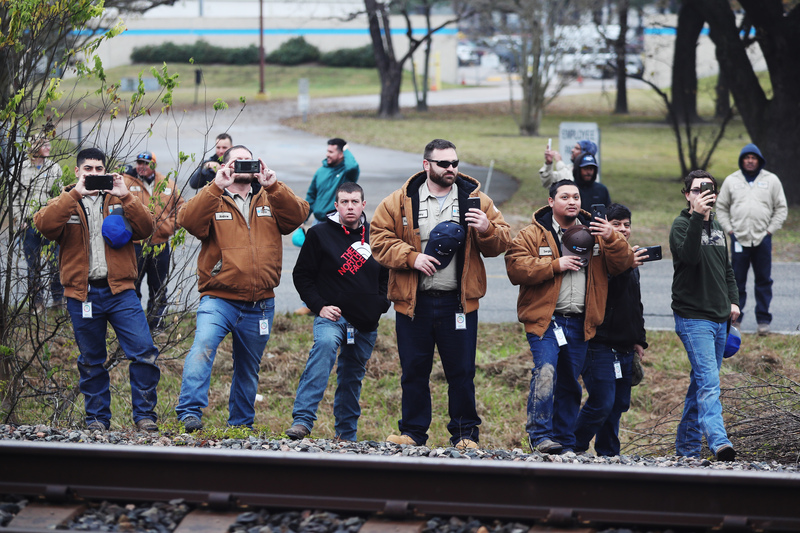 The train procession will last two and a half hours. 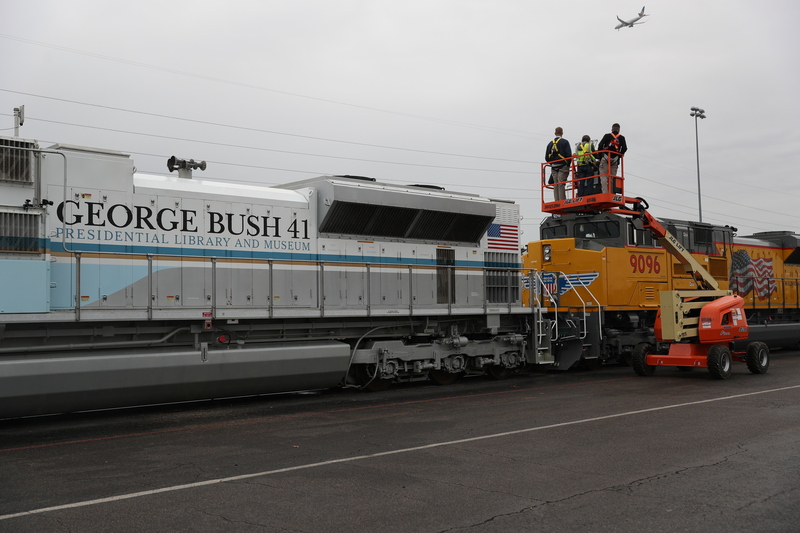 According to the New York Times, Bush loved the train and even drove it once. “It was at that point that President Bush said, ‘Can I take this for a drive? Can I run it? 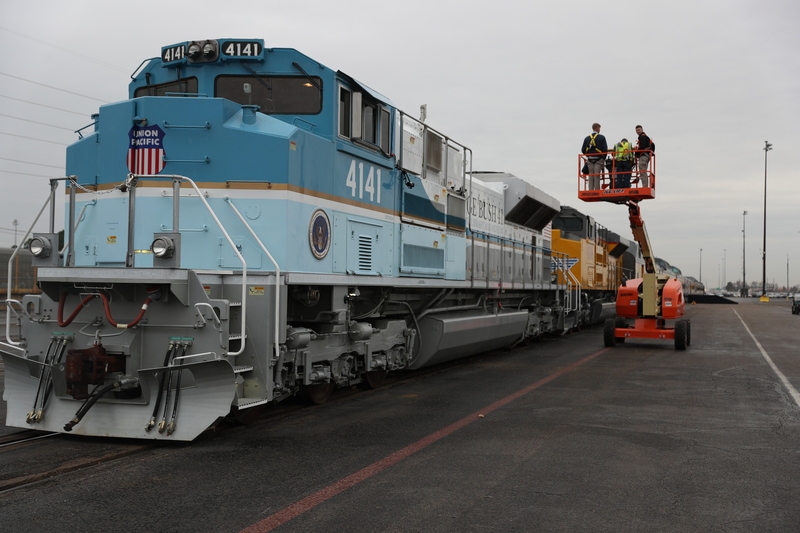 '” Mr. Iden, now retired, recalled in a Union Pacific video. Mr. Bush, he said, climbed into the engineer’s seat and got a brief tutorial. President Abraham Lincoln was the first president to travel to their funeral by train. 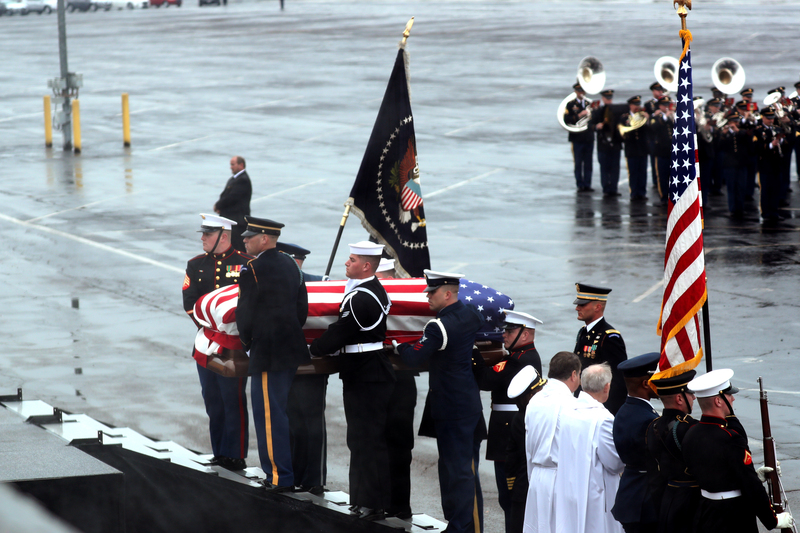 The tradition has not occurred in 49 years since Eisenhower was laid to rest. 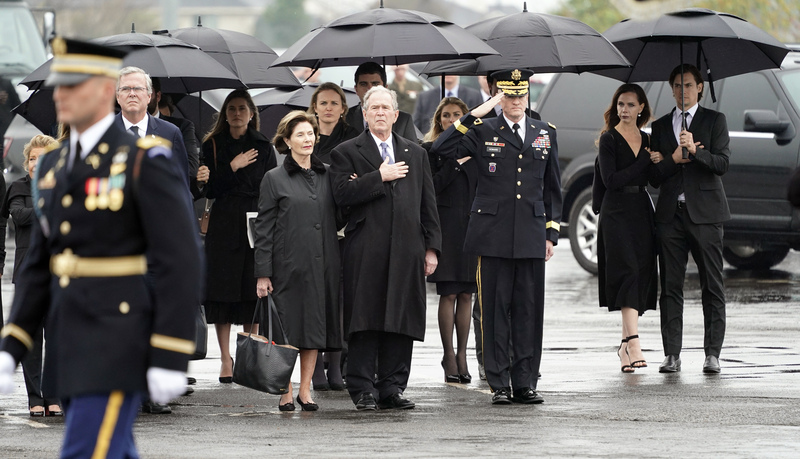 George Bush will be buried next to his late wife, Barbara Bush, who passed away earlier in April of 2018.